Ident-A-Kid Labels/Tardy rolls *Ident-A-Kid Visitor Labels Use Ident-A-Kid Visitor Labels to print badges for visitors and volunteers to stick to their shirts. 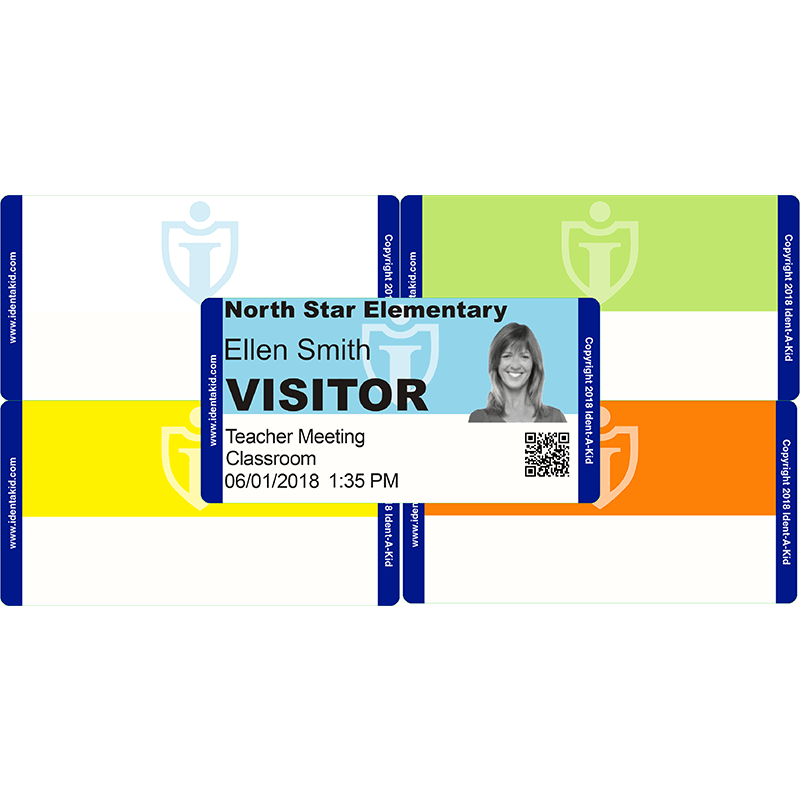 Visitor Labels are designed and tested to work perfectly with the Ident-A-Kid System and the Label Printers. Each roll contains 300 Visitor Labels.